The Alzheimer’s Society is bringing a brand-new scheme to Brighton and Hove and Greater Manchester. ‘Bring Dementia Out’ aims to bring support and information to LGBT+ people who are living with dementia. The charity has partnered with LGBT+ communities and key organisations on a series of resources. This includes a video, booklet, online hub and posters, all to raise awareness and help others gain an understanding of the challenges faced by LGBT+ people affected by dementia. 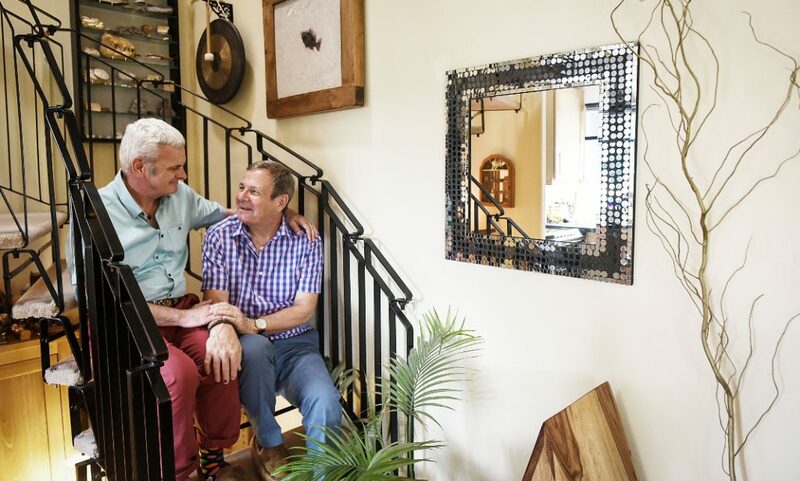 Mike Parish and his husband Tom Hughes, who has HIV related dementia pictured, at their home in Wandsworth, South London, pictured on June 20th 2017. Photograph by Mary Turner for the Alzheimer’s Society. Sadly, LGBT+ people with dementia may start to have strong memories of distressing experiences from an earlier part of their lives, when they may have faced discrimination or stigma. They may also fear discrimination from health and social care professionals, and therefore might not feel able to be open about their sexual orientation or gender identity. Some LGBT+ people affected by dementia feel isolated, especially if they have no long-term partner or family to support them. These are difficulties that LGBT+ people face on a daily basis with dementia, and this highlights the need for us to bring awareness to the issue. Colin Capper, Head of Research Development and Evaluation at Alzheimer’s Society, said, “Bring Dementia Out’ recognises that while everyone’s experience of dementia is unique, there can be many challenges that are specific to a person’s sexual orientation or gender identity. 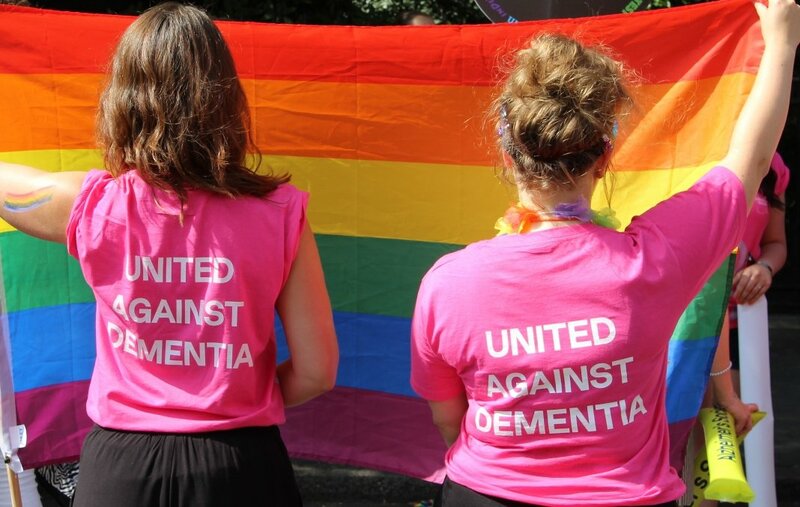 We are calling on people to visit the online hub at, https://www.alzheimers.org.uk/get-involved/bring-dementia-out, to learn about these challenges and to take action to ultimately help people affected by dementia from LGBT+ communities feel safer, listened-to and understood. The ‘Bring Dementia Out’ scheme is being tested in Brighton and Hove until the end of February. Visit: https://www.alzheimers.org.uk/get-involved/bring-dementia-out to find out more about how you can help LGBT+ people affected by dementia.